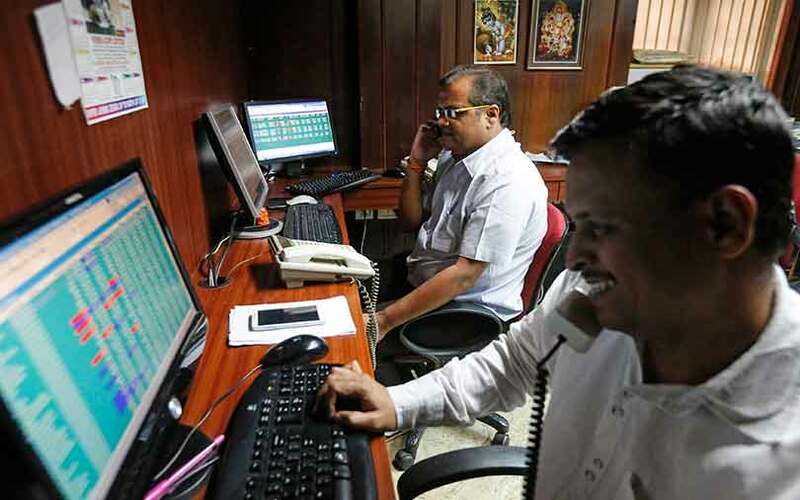 Indian shares posted their fourth consecutive weekly gain on Friday, as Infosys Ltd and Tata Consultancy Services Ltd marked fresh record peaks, while pharmaceutical stocks such as Dr. Reddy's Laboratories Ltd rallied on the back of U.S. regulatory approvals. The broader NSE index ended 0.09 percent higher at 10,817.70, gaining 0.46 percent for the week. The benchmark BSE index closed up 0.06 percent at 35,622.14 and posted a weekly gain of 0.50 percent. Infosys ended 3.4 percent higher, while Tata Consultancy Services Ltd closed up 2.9 percent after announcing a buyback of shares worth up to 160 billion rupees ($2.35 billion). Dr. Reddy's Labs ended 3.5 percent higher.